WAKE COUNTY (WTVD) -- Middle Creek High School students are protesting a leaky classroom they say forced their teacher to quit. The ceiling in Room 3320 has been leaking since late September. Students say the constant dripping is more than a distraction. It's making biology teacher Dejah Debon sick. After repeated requests to get it fixed, Debon missed two weeks of work for upper respiratory issues. She resigned when she was told she would have to return to the same classroom. 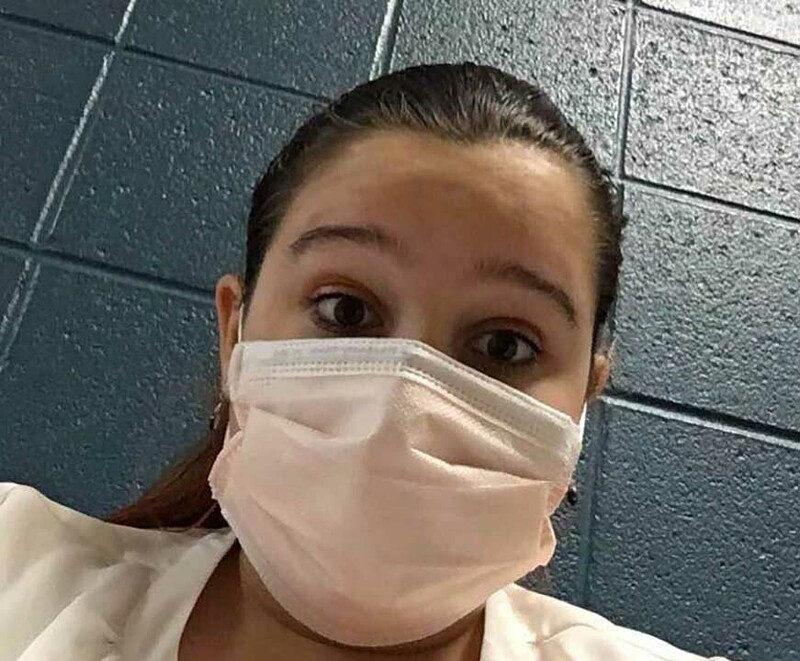 Sophomore Julia Nizen and other upset students protested in the hall Monday wearing surgical masks, but were asked to return to class or risk being marked absent. Nizen has started an online petition in support of her teacher. Click here to see the petition. "This is making us concerned for our health. How do you expect us to go in the classroom when we saw what it did to our teacher?" said Nizen. 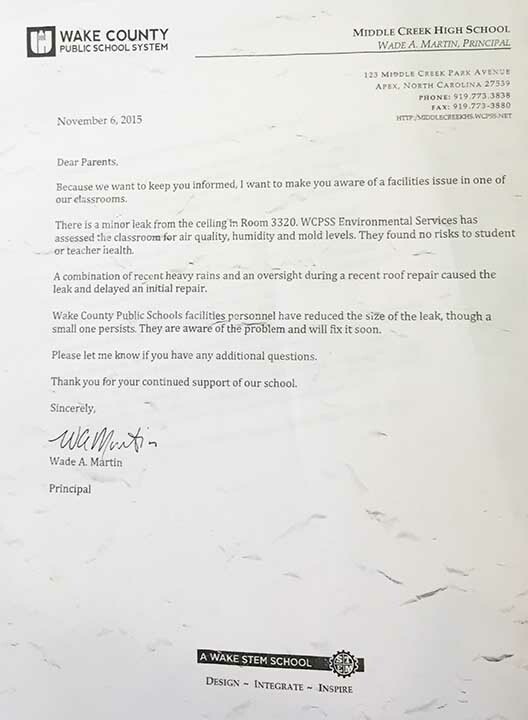 In a letter to parents, the school's principal calls the leak minor, saying while the ceiling needs to be repaired it does not pose a health risk to students or teachers. Administrators say two separate environmental tests reveal no evidence of mold, something that still worries parents and students who are now without a teacher. "Whether there's mold or not, it comes down to the school could have worked with her a little better instead of forcing her to resign," said parent Vicki Nizen. "The big picture now is that our students are at risk for not learning the material," said parent Robyn Greenspan. "It's sad that this had to happen." WCPSS did not respond to ABC11's request for comment.